Cartoon Network’s newest take on Ben 10, the animated phenomenon that has kids all over the world wanting to transform into their favourite alien, begins its global premiere this October in Africa. A new generation of fans can expect all the high-energy action and fantasy on DStv, channel 301, along with the heart and humour that made Ben 10 an international sensation when it originally premiered. 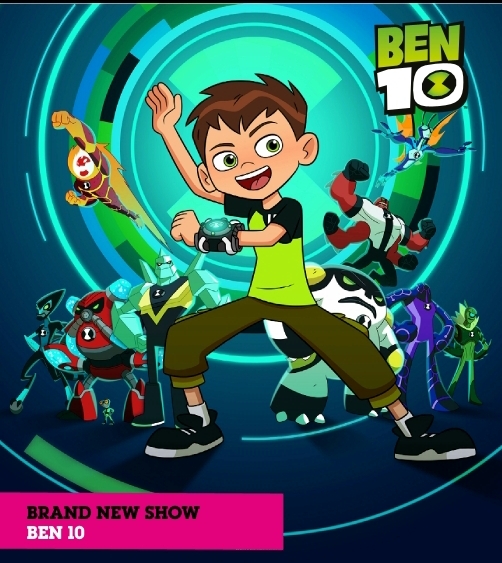 Building on the highly successful franchise about kid hero, Ben Tennyson, Ben 10 will introduce a re-imagined Ben, his cousin Gwen, and Grandpa Max, as they travel the country during summer vacation. Your three favourite, furry brother bears are back and stacked on Cartoon Network, with an all new season of growling fun and adventure! Watch as the three stacked bear siblings go to a local yard sale, have a forced sleepover with Chloe due to the weather and help Nom Nom understand the true meaning of friendship, whilst they awkwardly attempt to ﬁt into an arbitrary world known as ‘human society’. Whether the brothers are looking for food, trying to make human friends, or scheming to become internet famous, it’s obvious that being a bear in a civilised, modern world is tough! Have the time, with Adventure Time! Finn is a human boy with an awesome hat, and Jake, a wise pet dog, is his best friend with magical powers. Together the two partner together to expose the mystery of Ooo, with a series of strange misadventures, one quirky, off-beat encounter after another. Watch as they uncover, discover, battle, duel and overdo in an attempt to protect the land of Ooo as well as the strange creatures that inhabit the space. Tune-in as Finn attempts to decode the riddle of a cave with no exit in order to escape, whilst attempting to stop a catastrophic event from happening somewhere in the multiverse.